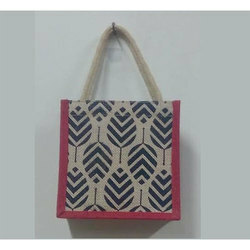 Manufacturer of a wide range of products which include jute hessian bag. Customers can avail a wide assortment of Jute Hessian Bag. The offered Jute Hessian Bag is extensively used to store and pack varieties of goods and commodities. Further, we ensure to satisfy the entire requirements of the customers. The offered products are easy to use in various applications. The offered Jute Hessian Bag is available in the market at reasonable rates.